Indonesia's exhibition was amongst the simplest and most elegant. Photo by Herbert Wright. John Wardle’s installation Somewhere Other in the Corderie. Photo by Peter Bennetts. Marina Tabassum Architects installation of collected objects, Wisdom of the Land. Photo by Andrea Avezzu. Kazuyo Sejima and Ryue Nishizawa of SANAA perspex installation in the Corderie. Photo Andrea Avezzu. Indonesia’s exhibition was amongst the simplest and most elegant. Photo by Herbert Wright. 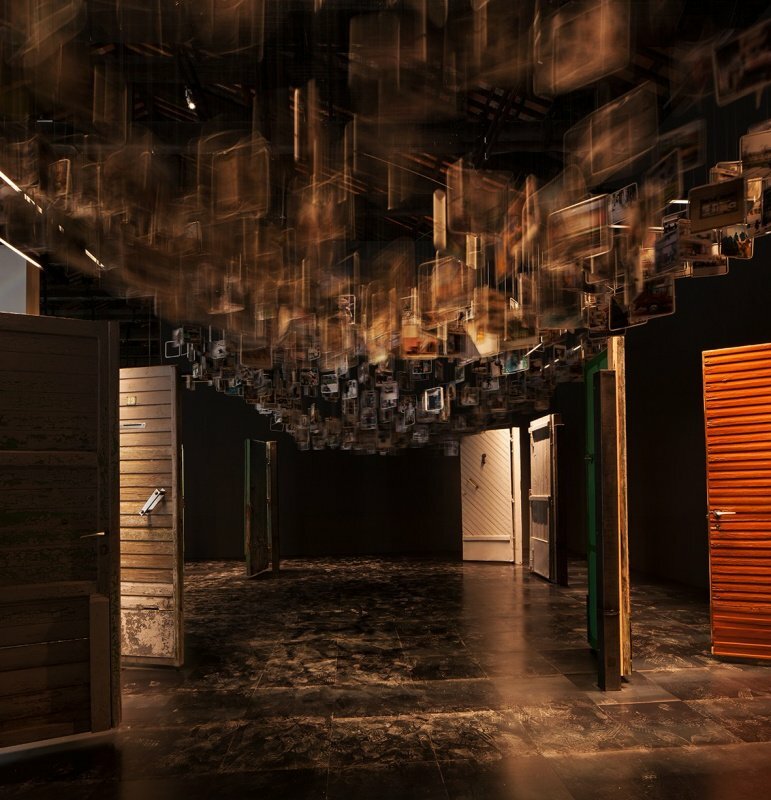 Albania explored the life of Tirana’s urban ground floor, using old doors, in their installation Zero Space – From Utopias to Eutopic. Photo Francesco Galli. China’s outdoor installation Cloud Village by Philip F Yuan. Photo courtesy La Biennale di Venezia. Some of the 100 towers on display in Hong Kong’s Vertical Fabric- density n landscape . Photo courtesy of HKIABF and HKADC. 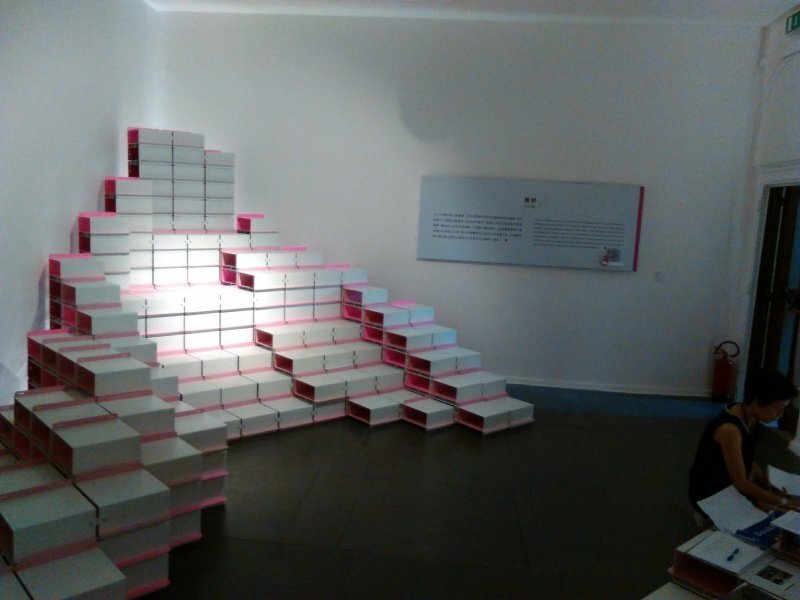 Macau’s interpretation of stairs using filing boxes. Photo by Herbert Wright. The Venice Architecture Biennale is the world’s leading platform to showcase the ideas and mood of those who design our built environment. This year, it is curated by Yvonne Farrell and Shelley McNamara of the Irish practice Grafton, famous for their imaginative sense of mass in space in buildings such as the Universita Luigi Bocconi, Milan and the UTEC campus in Lima, Peru. The theme they chose for 2018 is ‘Freespace’. It is very much about celebrating the ‘generosity of spirit and a sense of humanity’ of architecture, as well as offering a literal base for concepts — free space itself. Those who have visited Venice’s Art Biennale, which is in the alternate years, will know that the Biennale is so huge, it’s a challenge. 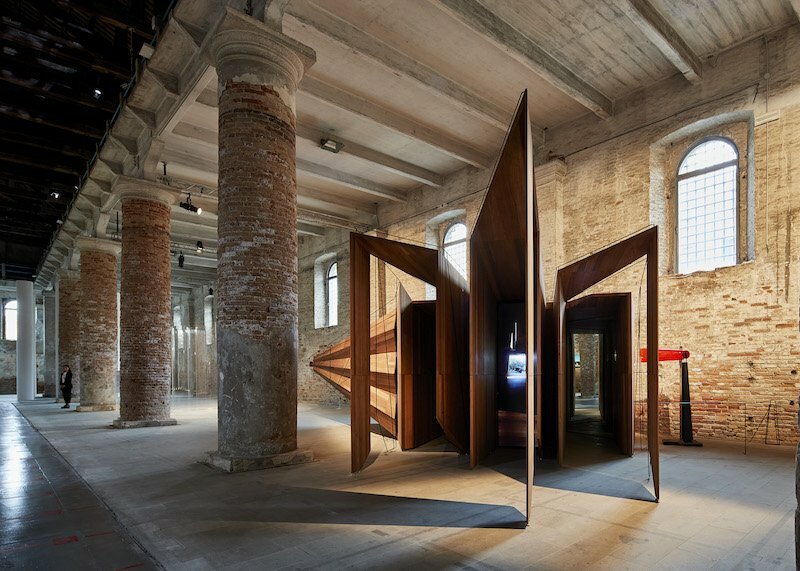 This year, 71 architects and 62 countries mounted exhibitions in the Arsenale (once the dockyard from which Venetian maritime power was projected) and the idyllic Giardini (Gardens) — and that’s quite apart from the collateral shows that spread across the city. The Arsenale’s spine is the Corderie, a fifteenth-century rope-making factory. This is one of two areas curated directly by Farrell and McNamara, and its ancient brickwork and columns form a deeply contemplative gallery. 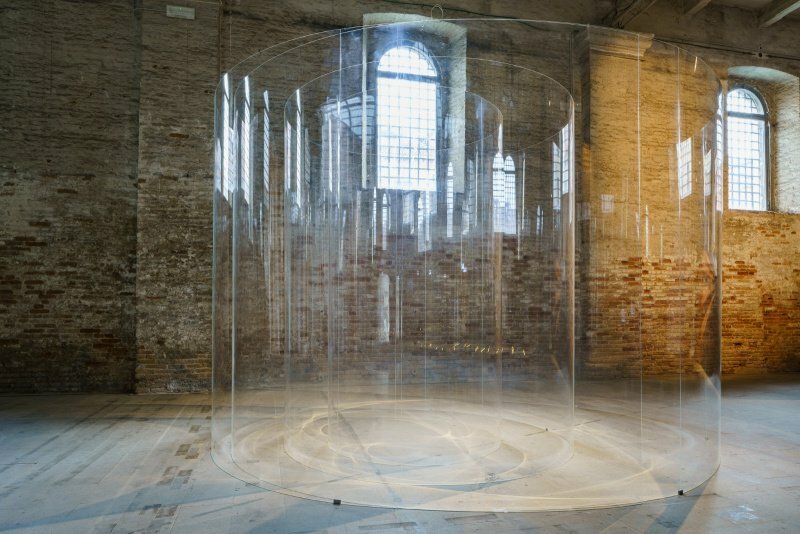 Many installations are as much conceptual artworks as they are architecture, such as the perspex spiral screen Japanese architects SANAA (look carefully – it’s completely transparent!). Turn the corner at the end of the 317m-long arcade, and we begin to find national shows, which also fill the adjacent building, the Sale d’Armi, and the two distant pavilions of China (of which more later) and Italy. At the Arsenale, nations explore themes from declining rural towns (Ireland) to life at street level generated by locals rather than architects (for example, Albania and the UAE). Unlike the architects’ installations, such shows would not be seen as artworks — they are about explaining, and have a point to make. 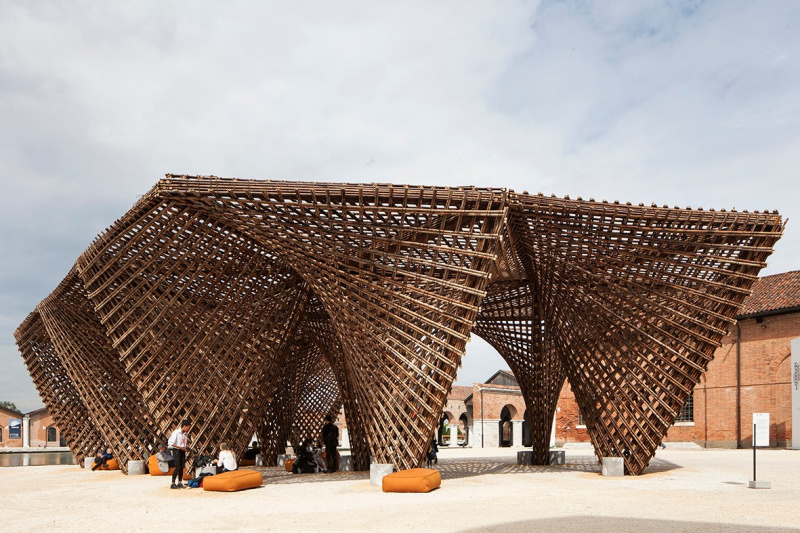 But there is an artful creation out on the Arsenale’s waterside – a large bamboo pavilion by Vietnamese architects VTN. It’s a beautiful place to rest, although it offers only partial shade from the Venetian sunshine. Over in the Giardini are the long-established pavilion buildings. Farrell and McNamara’s Freespace curation continues in the Central Pavilion, a maze of rooms where architects present more projects than in the Corderie, and with more colour. The other pavilions are national ones, and much of the Biennale’s most powerful shows are here. Austria, with a courtyard covered in a huge curved mirror and a trippy film about beauty, and Poland, with whimsical works installed in a huge bath of water, shine with creativity. The British Pavilion with its floating roof platform takes the idea of free space to clear heights, physically and in spirit. Surprisingly, the most political of pavilions may be the American one, with powerful messages about closed development in electricity-deprived countries, borders, the legacy of slavery — and mining asteroids. Town and country were both covered for China. 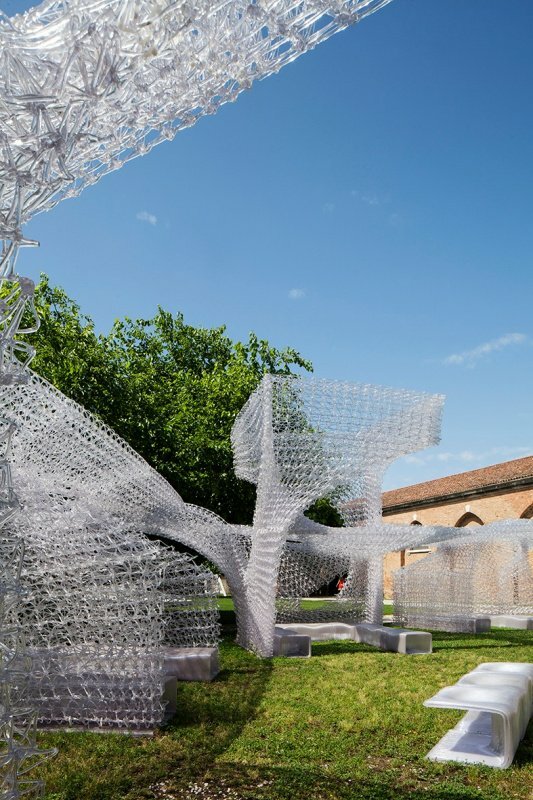 The big powerful Chinese show in its official Arsenale pavilion was called Building a Future Countryside, but in town at the Ca’ Tron palace by the Grand Canal, Beijing Design Week hosted a collateral exhibition, Across Chinese Cities, with many detailed urban case studies. What of Hong Kong? 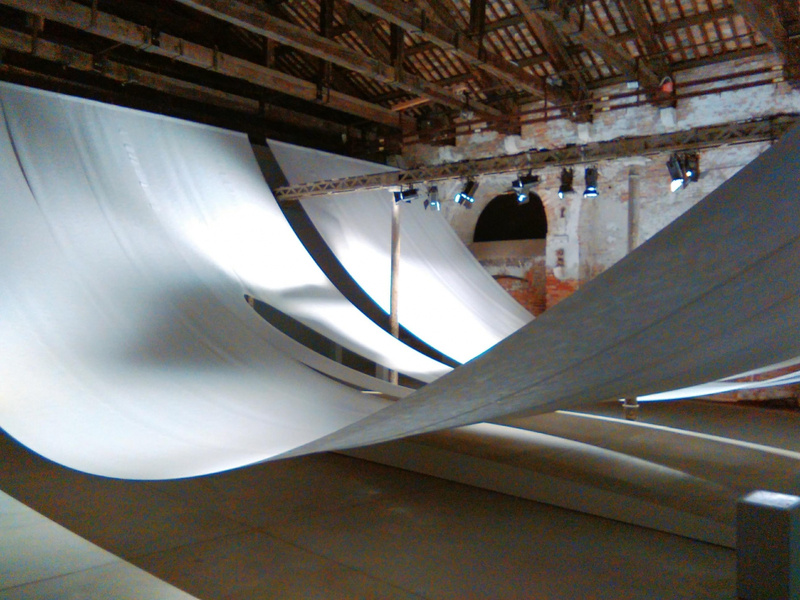 Its show, Vertical Fabric- Density in Landscape, was collateral, but directly opposite the Biennale’s Arsenale entrance. 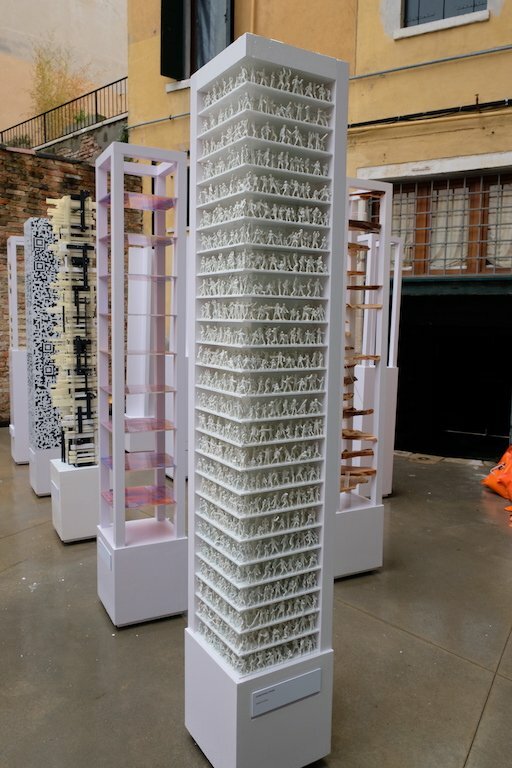 It featured 100 conceptual towers by different designers (echoing a similar conceptual skyscraper forest at the Chicago Architecture Biennale 2017). In the venue next door, Macau’s show Unintended Architecture was an unexpectedly relaxing walk-through of abstract installation spaces. The stand-out off-site offering is that of the Holy See, a.k.a. The Vatican. In the gardens of the island of San Giorgo Maggiore, eleven architects of world stature each built a chapel. The chapels match the serenity of their location with elegance and a profound sense of spirituality. 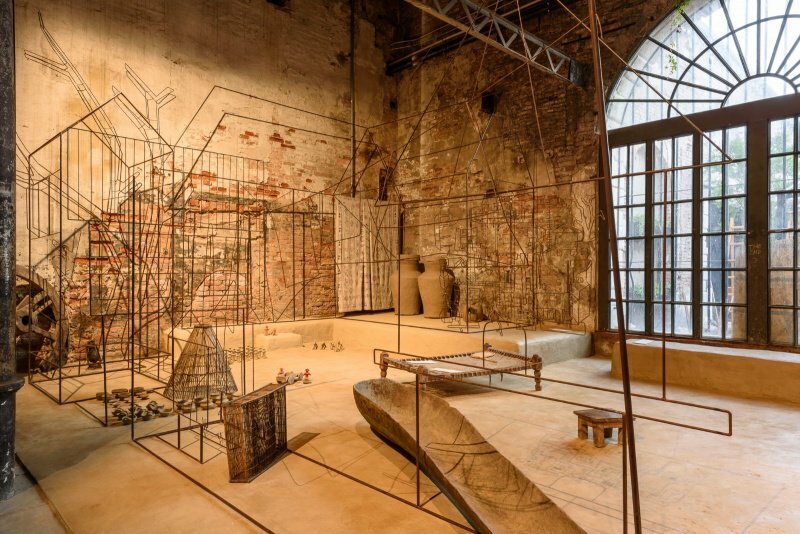 What are we to conclude from the Venice Architecture Biennale? Nations may have strayed from the optimistic hopes of the curators to celebrate architecture in the theme of free space, especially those with an urbanistic and social focus. But ideas of free space, physically and conceptually, are numerous and tightly packed in the exhibition grounds. There is also abundant proof that architecture, like pure art, is a creative force that can generate beauty.